The year was 1999. 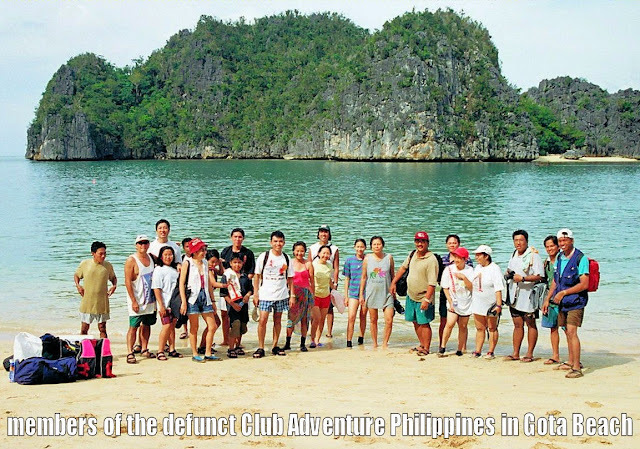 I came across this little known group called Club Adventure Philippines in the pages of Action Asia magazine. 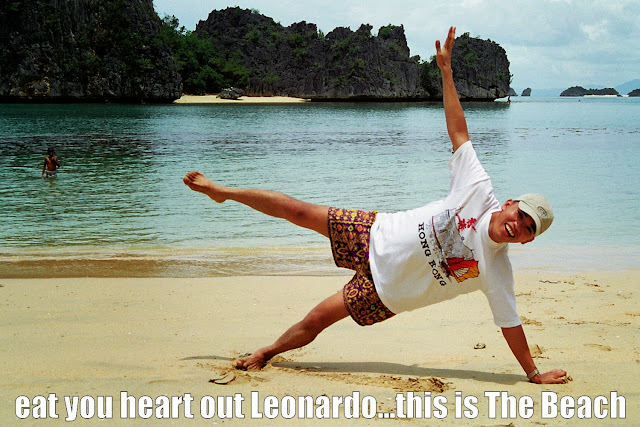 Led by one Maridel Consunji, the group was doing adventure trips around the Philippines and this truly excited me. 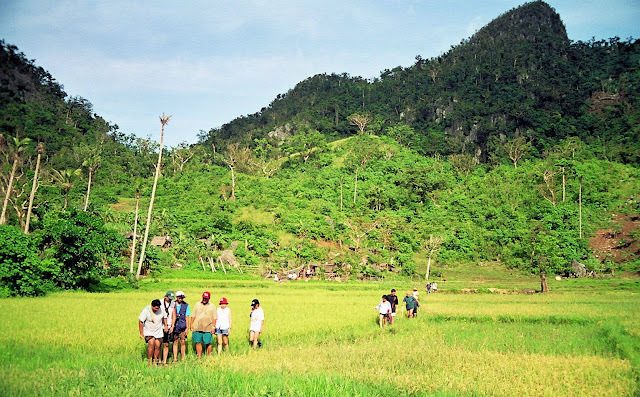 I signed up for one of their exploratory trips scheduled during the Holy Week that year to one I've never even heard of: the Caramoan Peninsula. Not exactly knowing what to expect and not knowing who my companions were, I met up the group one very early morning in Manila. It's an eclectic group that span a generation of ages, one 8 year old from Ayala Alabang to a 75-year old retired surveyor. One common denominator: our passion for the outdoors. I'm glad to finally meet Maridel who's also on this trip. We rode on two chartered vans the whole day to Naga City and some two hours further to Sabang where we rested for the night. It rained so much that evening we worried about our banca ride the next day - mind you, we're talking about the open sea here that's facing the Pacific ocean. 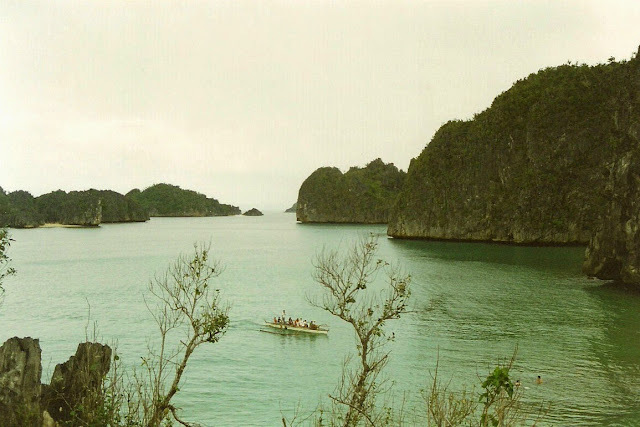 The two-hour banca ride to Guijalo port was and still is the roughest and scariest boat ride I've experienced. I could hear the outrigger creaking as we bobbed up and down through crests and troughs. Our skipper told us it's not always like that but the passing storm previous evening really churned the waters so nasty and nauseating. We made it safely to Guijalo and got into a waiting jeepney for the short ride to Caramoan town itself. 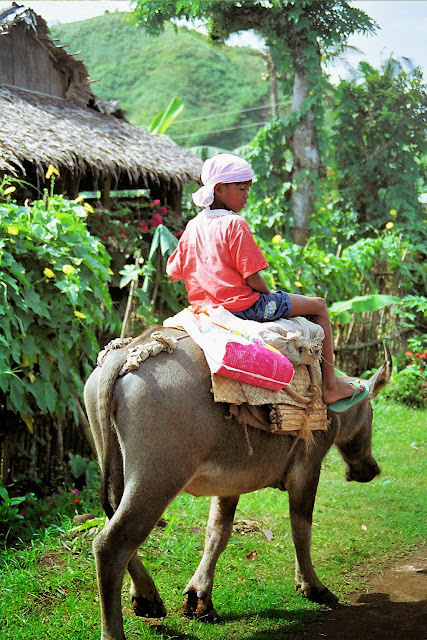 There are no hotels so we all stayed at a local's home - my roommates were the father-and-8-year-old-son tandem. Knowing we had basic accommodations, we brought sleeping bags with us.The town is small but clean, the main street being the only one that's paved at the time. 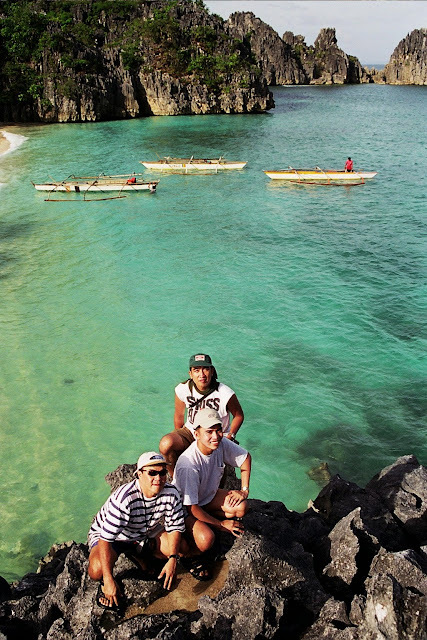 For this trip, Maridel had arranged for Ricardo Perez to guide us - a guy who's so passionate about Caramoan he eventually wrote a book about this paradise 10 years later. 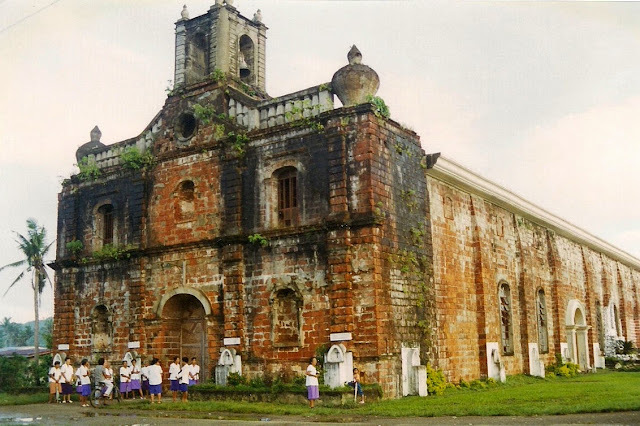 We visited the red-bricked Catholic church and even got invited to the house of the town mayor. 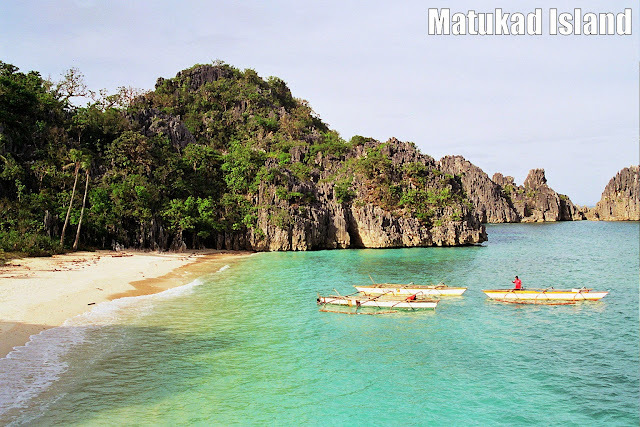 The highlight and definitely the town's claim to fame are the idyllic islands and beaches, part of what's officially called the Caramoan National Park. 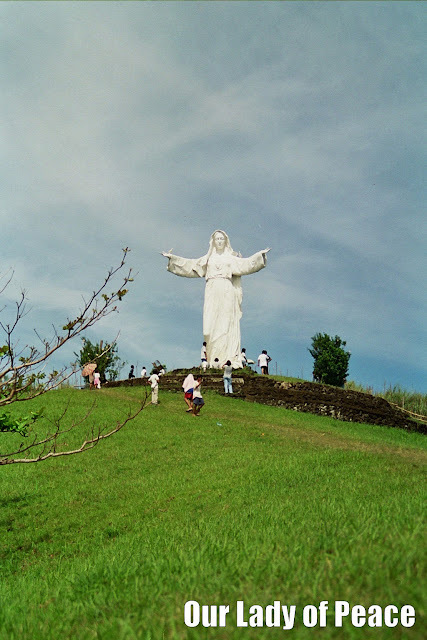 In one area is this hill with the large statue of Our Lady of Peace overlooking the bay. We walked up about 500 steps to the base of the statue - our own penitencia during the Holy Week. 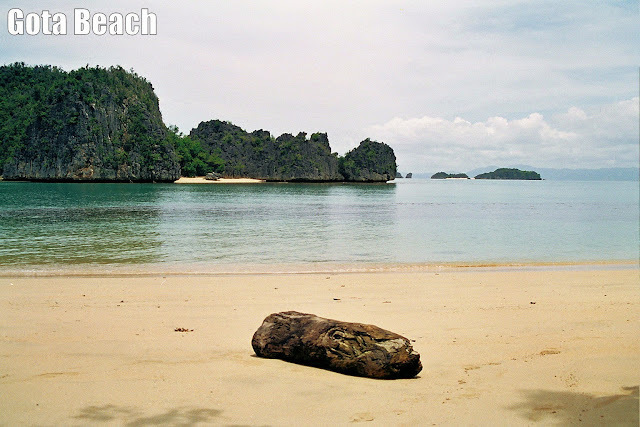 The bancas took us to Gota beach, a secluded piece of paradise as we were the only visitors at the time. Ric led the way inland past rice paddies into a hill with a cave full of bats and guano but it was worth roughing it. 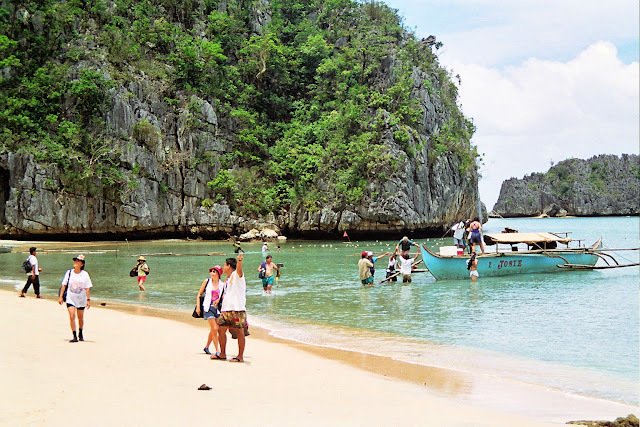 We hit more islands - many with limestone cliffs that is akin to Palawan's Coron - and realize how beautiful and pristine this part of the country is and how it should stay that way. 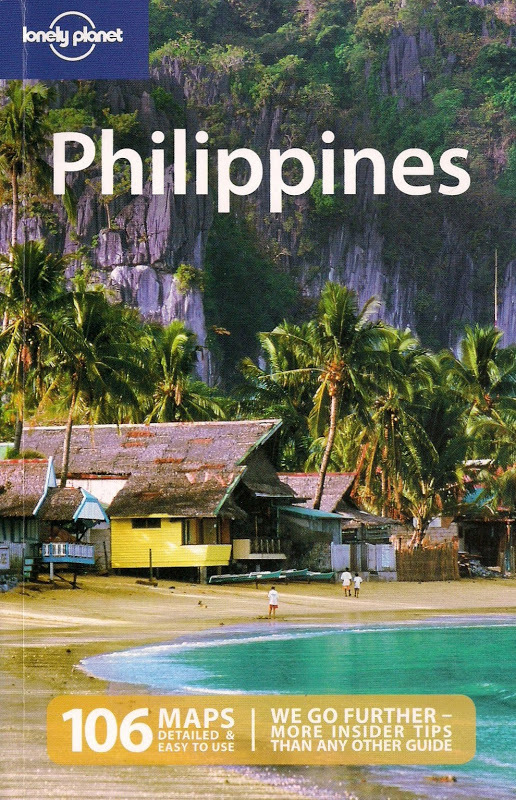 I do really hope Caramoan doesn't become another Boracay. So the photos posted here are 10 years old? I was there 2 years ago and my bf and I had the islands all to ourselves! Unfortunately, it's a completely different scenario these days. Thanks for visiting. The photos are really a decade old. I do keep old negatives so I was able to convert them digitally. Hi Dennis, what a pleasant surprise! I didn't know I would read about Club A after more than a decade. 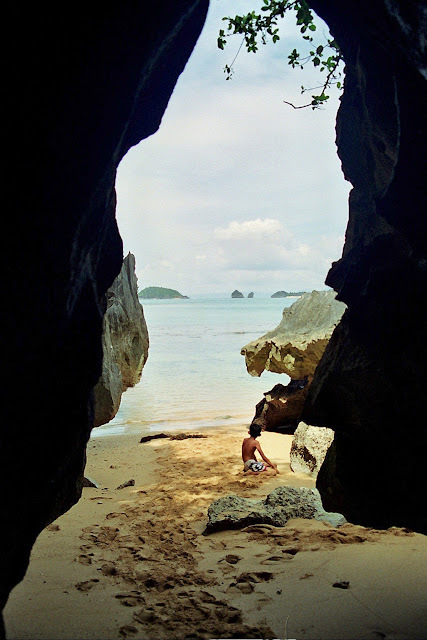 Nice photos of Caramoan. FYI, some Club A members have somehow kept in touch and still travel together in smaller groups. What a surprise! All these years I've been wondering what happened to the club after not hearing anything about it. The trip in Caramoan was very memorable, this at a time when eco-tourism in the Philippines wasn't even in the mainstream yet. Hope the spirit of adventure is still very much alive in you! wow! i was here last year, june 2009. and i was still fascinated by its beauty. sikat na ngaun ang caramoan. :) supppeerrr!